Autumn just stepped in the other day and it's a new season to look forward to. As much as I love summer, I am so ready for a little bit of cold and a change of diet. It's time to start cooking again in the kitchen and I am starting with this Tuscan Sausage and Beans in Tomato Sauce (Salsiccia e Fagioli). 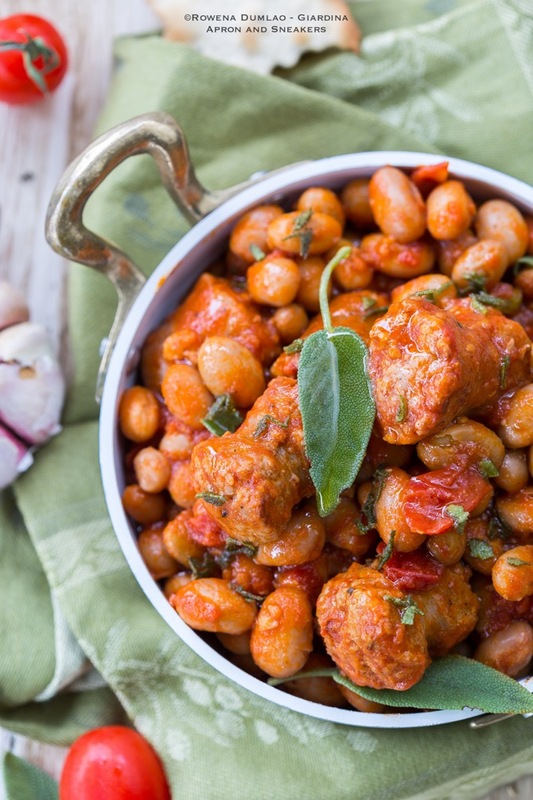 Sausages and beans are great ingredients for the colder months and with the first few steps of autumn, I welcome it with a delicious dish from Tuscany. Once upon a time, there was an engineer, an architect and a chef who, in spite of the different roads their careers took them to, put together their heads and on a single slice of bread, a mountain of ideas came out. Sometimes, the uniqueness of every single person can contribute to the solidity of an idea. After all, there is the precision of an engineer, the meticulousness of an architect and the efficiency of a chef. There is a perfect blend of elements and the string that binds them altogether is the passion for cooking and the desire to create something typically Italian that is not only good but extra good. 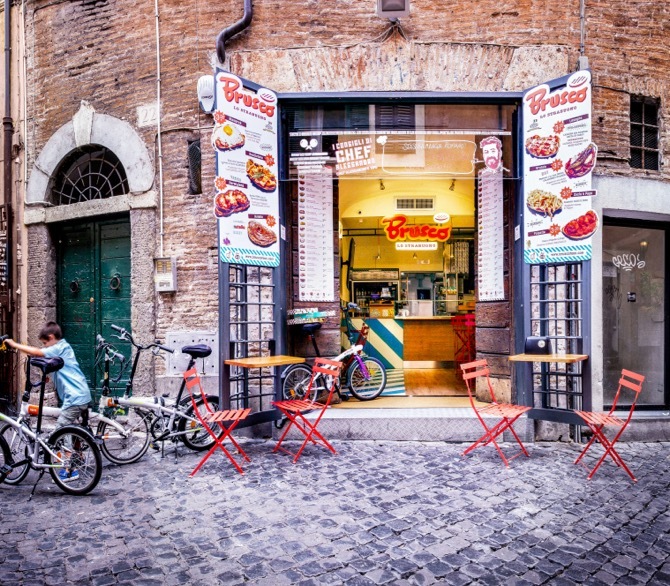 Let me introduce you to a bruschetteria (bruschetta shop), Brusco Lo Strabuono, one of the newest places in Trastevere, that hip district of Rome where creativity meets gastronomy. There are times when my Asian side just wakes me up in the morning without warning and drags me to the kitchen and take out the essentials to make a super brunch. 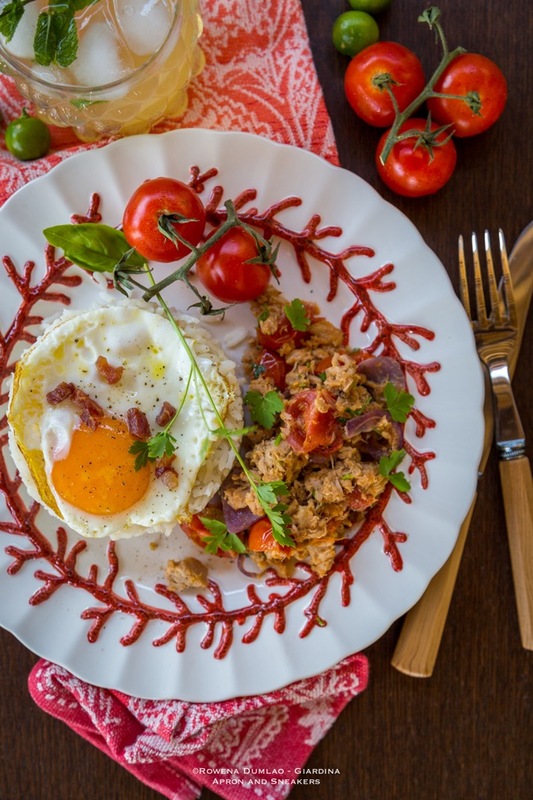 Having been used to salty and much heavier (with rice please) breakfasts, Italian breakfasts are a stark contrast to the full breakfast plates I enjoy in the Philippines. Unlike in Italy where I don't usually need a plate anymore while eating my cornetto or croissant and drinking my espresso while on my feet, the Philippine version requires me to sit down with a nice big plate and sit on a comfortable chair because these breakfasts are meant to be long. 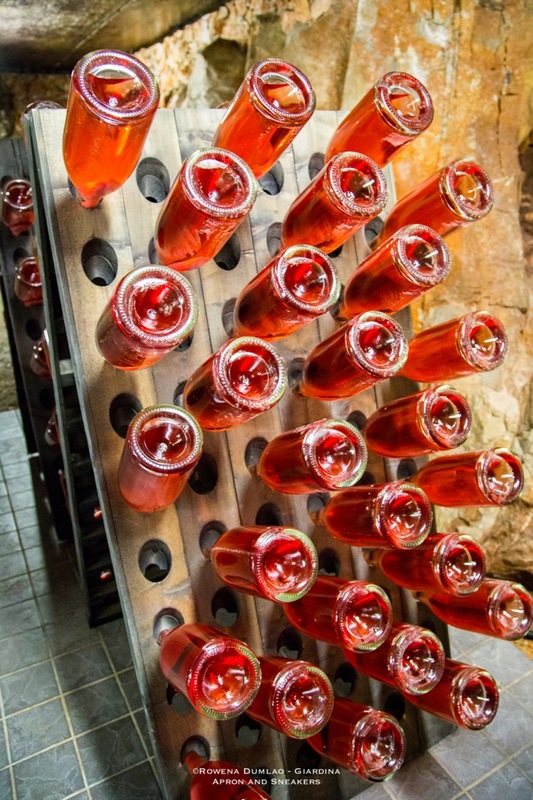 Between animal farming and viticulture years ago, Fattoria Carsica Bajta made a successful activity of cured meat production and wine making in their fattoria or farm. Having formally opened their farm in 1999 in the town of Sales, Mr. Slavko and his sons Andrej and Nevo were also able to expand over the years by opening a food and wine shop, a restaurant that accommodates 80 and five double rooms where guests can stay immersed in a working farm life. Their activity continues to draw food and wine lovers who look for quality from the great region of Friuli - Venezia Giulia. Entering Madre can give you quite a pleasant surprise. Don't be confused with its address because it is indeed located in the former convent of the Dominican nuns inside the gates of the Pontifical University of St. Thomas Aquinas and beside the Church of Saints Domenic and Sixtus (Santi Domenico e Sisto) at Largo Angelicum 1. 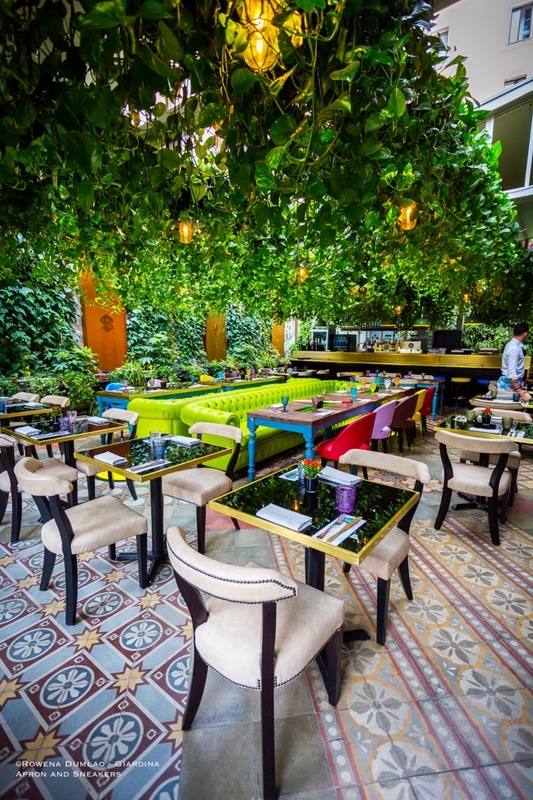 It's a very beautiful terrace with colors splashed everywhere and plants 360 degrees around. In the architectural layout of Rome, you wouldn't expect to find yourself in a little garden haven like this. It's a contrast to what you see in the city. It breathes freshness, elegance, jollity and coziness all rolled in one place. Over everything, the charming ambience embraces you with warmth. Madre is not something you would expect to find in Rome and when you sit down and eat, that's another thing to marvel about. When baking, I want something simple and easy to prepare that the kids would eat heartily in place of the regular biscuits that I buy. Even if I am always attentive to the kind of biscuits I get for them (and for us adults too), I always wish that I can just prepare all the baked goodies that they eat. I do read every single ingredient in everything that I buy but a home baked treat can't ever be replaced. And the smell in the house while baking is purely incredible! It's the perfect touch to have at home that I love so much. 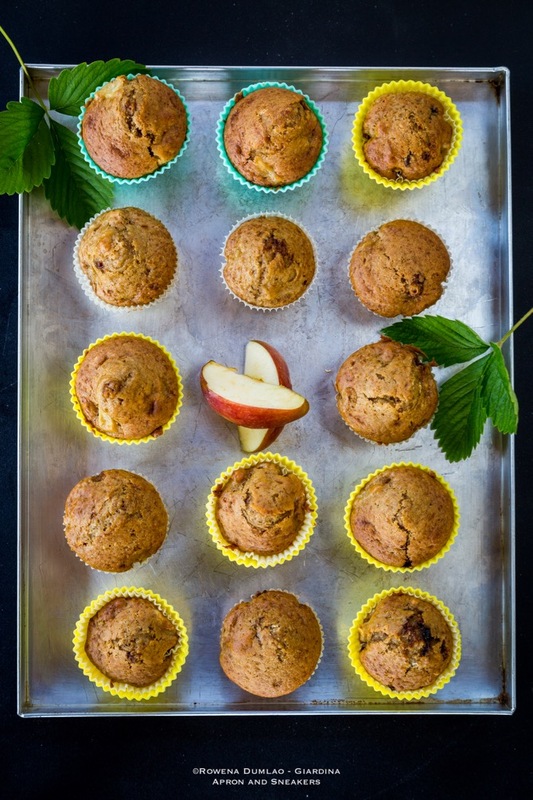 Apples and spices baking? It's hard not to keep on going back to the kitchen and taking a whiff of one of the best home fragrances. And the thing is, along with that wonderful smell are baked goodies that are equally delicious!